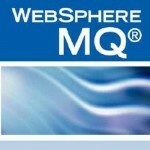 IBM WEBSPHERE MQ is used for delivering the messages. The specialty of MQ is, it can convert and transport any type of data into messages, which helps the businesses to build flexible SOA environments. IBM WEBSPHERE MQ provides a high secure message delivery system across a broad range of computing systems, apps, web services & communications. IBM WEBSPHERE MQ provides a communication layer for visibility and controlling of the message flow from in and out of the organizations.